On November 27, Disney’s Frozen will open in theaters. Join Anna and Kristoff on their epic journey to find Anna’s sister Elsa whose icy powers have trapped the kingdom of Arendelle in eternal winter. Before heading to the movies, you could have your own Frozen movie night at home. Here are some ideas for getting your party started. Since it will be a few weeks before we head out to the movie, I’ve gathered some ideas to use as inspiration for our own movie night. 1. 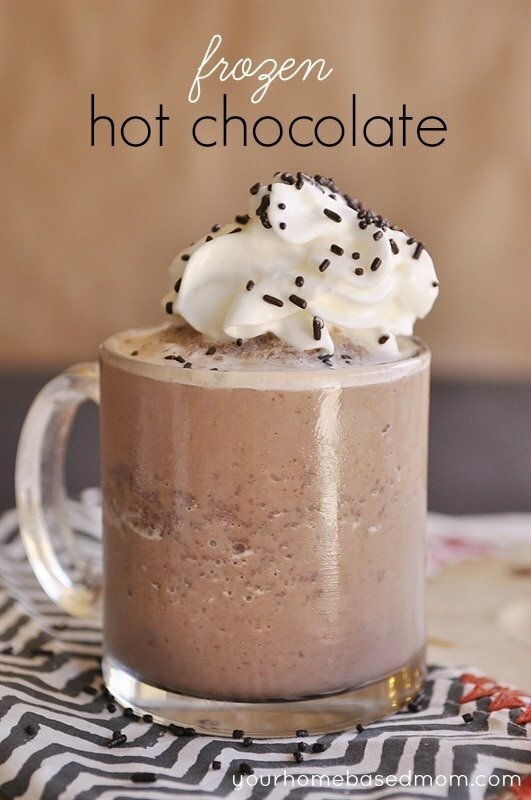 Frozen Hot Chocolate – When I think of cold, I think of warming up with a cup of hot chocolate. But, with keeping with the theme of the movie, I thought a frozen version might be fun. Try this recipe from Your Homebased Mom. 2. Reindeer Cookies – Sven is Kristoff’s trusty reindeer and loyal friend. I love this reindeer cookie pop from Cookie Twist. It seems like a fitting treat to honor such a sweet character. 3. Norway School Bread – This delicious treat can be found at the Kringla Bakeri Og Kafe in Epcot’s Norway Pavilion. It seems like the perfect addition to a Frozen movie night to pay tribute to the movie’s beautiful location of Norway. Try this recipe from The Disney Food Blog. 4. 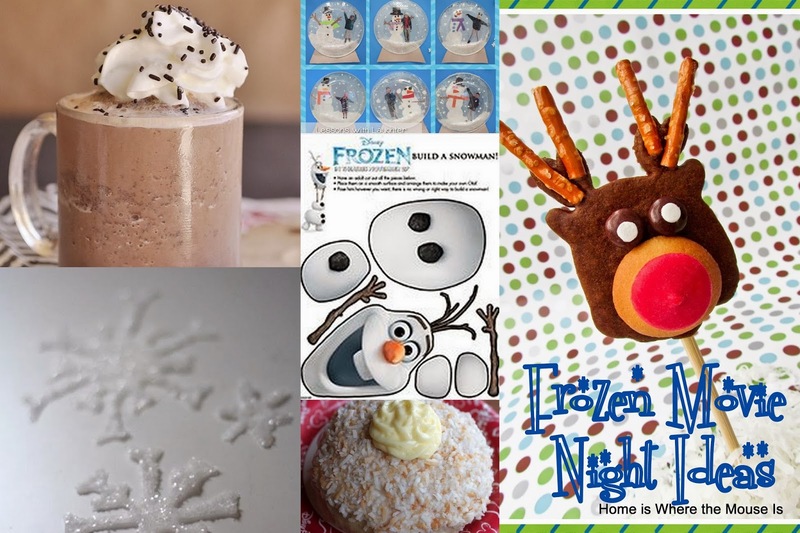 Frozen Printables – Decorate your movie night by using the Frozen printables and activities from Disney Family. 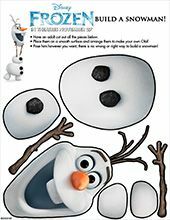 There you can find this Build your own Snowman activity. 5. 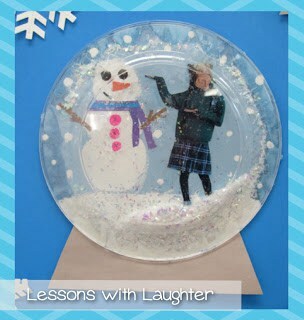 Snow globe craft – A great craft idea comes from Lessons with Laughter. This snow globe craft is not only easy, but it will make a great keepsake. 6. DIY Snowflakes – Last but not least are these wonderful snowflakes. All you need to make them are glue and glitter. Follow this link for step by step instructions. You could also turn them into ornaments after your party. We hope these ideas will inspire you to throw your own Frozen movie night. We’ll be having our own party in the coming weeks and we can’t wait to share it with you!